Taylor Swift may know places where she and Joe Alwyn can hide, but he insists their relationship is not "strangely private." The 27-year-old actor, who stars in award season contenders The Favourite, Mary Queen of Scots and Boy Erased, opens up about his personal and professional life in a new interview with Mr. Porter's The Journal. Alwyn, who was just finishing up drama school when he was cast in his first film, the lead in Ang Lee's Billy Lynn's Long Halftime Walk, started a relationship with superstar Swift around the time of the movie's release in Nov. 2016. The couple kept their romance out of the spotlight for quite some time, but in recent months, the duo has been spotted out and about together on a number of occasions. 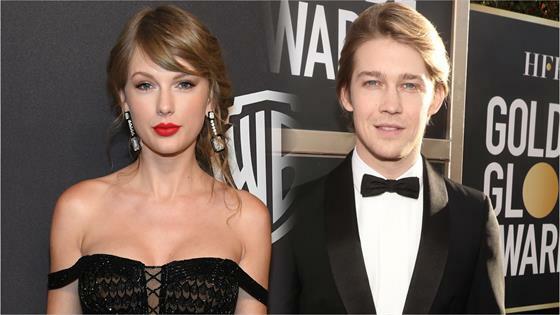 Earlier this month, Swift and Alwyn both attended the 2019 Golden Globes, where the "Gorgeous" singer presented. She was also seemingly there to support Alwyn, whose film The Favourite was nominated for Best Motion Picture — Musical or Comedy at the ceremony. Following the award show, the couple was spotted attending a number of after-parties together. Despite media attention, the couple appears to be more comfortable stepping out together in public. But that doesn't mean they're going to start dishing all about their romance in interviews. Though he admits this time of his life has been a bit of a "readjustment," that's just about all Alwyn will reveal. "I don't think anyone you meet on the streets would just spill their guts out to you, therefore why should I?" Alwyn tells the outlet. "And then that is defined as being 'strangely private'. Fine. But I don't think it is. I think it's normal." You can read more from Alwyn's interview HERE!